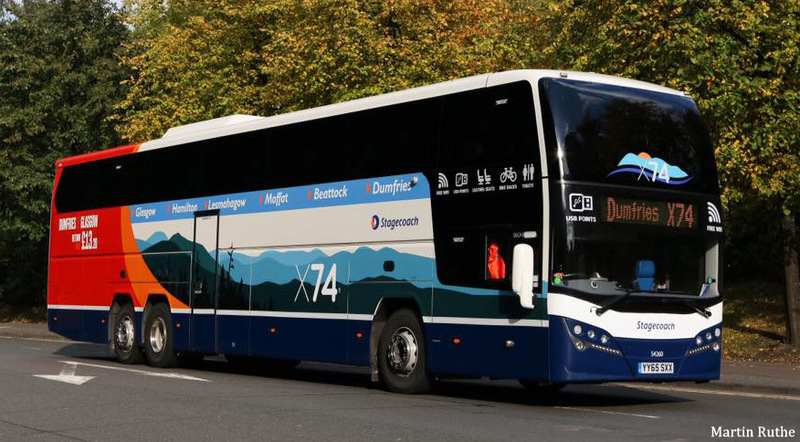 Stagecoach Group announced new vehicle orders worth £70million. A new fleet of around 340 vehicles, most equipped with free wifi, will be introduced in the coming 2017-18 financial year as the company continues to reinvest profits in improving services for customers in communities across the UK. 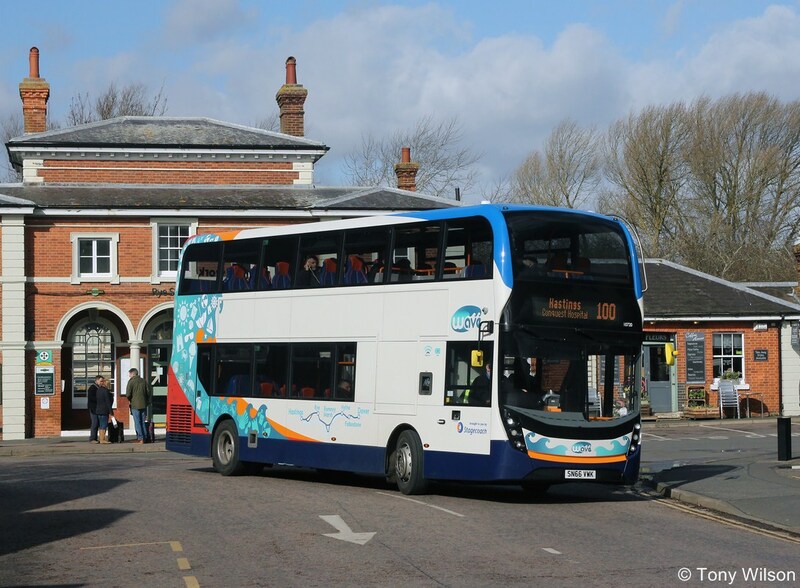 The latest announcement takes Stagecoach Group's total orders of new buses and coaches to more than £1billion in the past 11 years, delivering around 7,000 new vehicles for passengers. 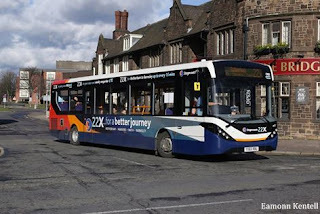 The brand new buses and coaches will be introduced in Stagecoach's regional networks in England, Scotland and Wales, as well as on the company’s megabus.com network in the UK. Almost half of the new vehicles meet the Government’s Low Carbon Emission Bus specification, while around two thirds feature innovative stop-start technology to help improve fuel consumption and reduce emissions. Most of the new vehicles are set to be built in the UK, helping to support hundreds of British manufacturing jobs and smaller businesses in the supply chain who produce key components from drivers' seats and toilets to wheelchair lifts and destination displays*. All of the new vehicles meet Euro 6 emissions standards. Each of the new vehicles will also be fitted with CCTV, and USB charging points, while most will also have wi-fi installed, giving customers free internet access during their journeys. Highlights of the latest investment are around 180 low-floor double-decker vehicles to go into service across the UK, as well as around 60 single deck vehicles and 40 midibuses. Included in the latest order are the first purpose-build open top vehicles the company has ever ordered, plus new vehicles for the Cambridge Guided Busway and a fleet of 18 micro hybrid vehicles to go into operation in Sheffield, which have been partly funded by the Office for Low Emissions Vehicles (OLEV). There are also 34 coaches for the Group’s UK Bus, Scottish Citylink and megabus.com operations. 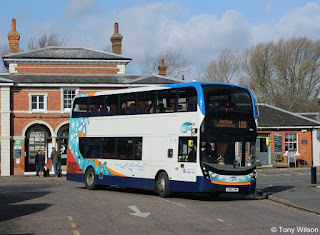 Stagecoach has already met its requirements under the UK Disability Discrimination Act deadline for double deck and single deck vehicles. the new ‘Stagecoach Bus’ smartphone app which provides customers with journey planning, next-stop information and live bus tracking, and enables people to buy and download bus tickets straight to their mobile phone. Smart ticketing at all Stagecoach regional companies with more than two million StagecoachSmart cards in circulation and more than 330million smart transactions every year. Multi-operator smart ticketing in all of England’s city regions, benefitting around 15million people, and in several key areas of Scotland, delivered in partnership with other UK bus operators. Contactless payments launched on Stagecoach services in Oxfordshire, Manchester and the north east of England, with the technology to be available at all Stagecoach bus companies by 2018. A commitment to work with the UK’s major bus operators on an ambitious scheme that could see contactless travel introduced on every one of the UK’s 32,000-plus buses outside London by 2022.